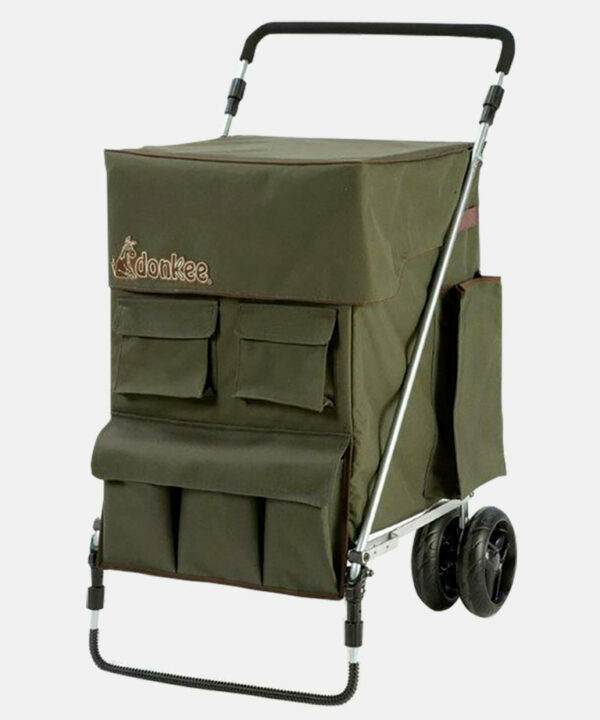 We offer four versions or our utility trolley – Large or Small and Push or Pull. 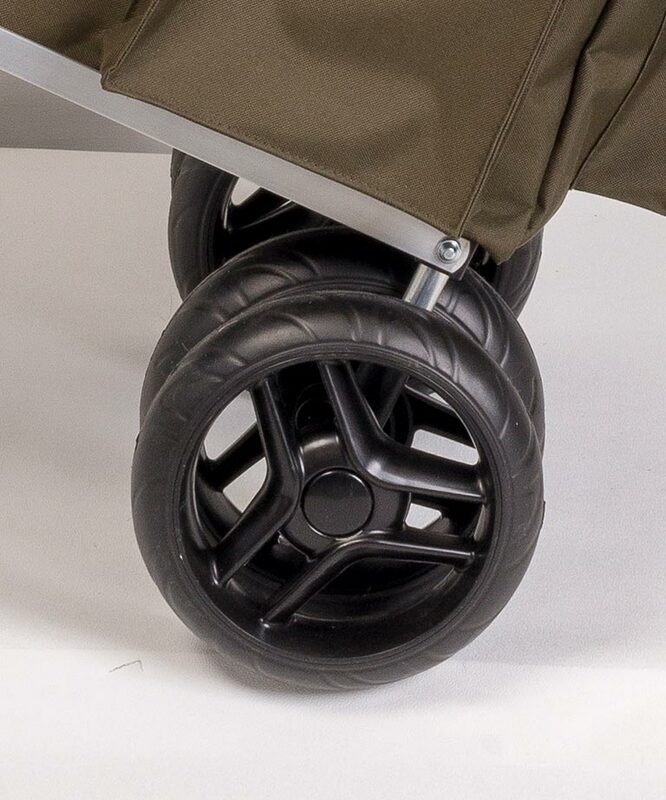 Choose the right size for you & your preference for 8 wheels or 4 rear wheels and front support bar. 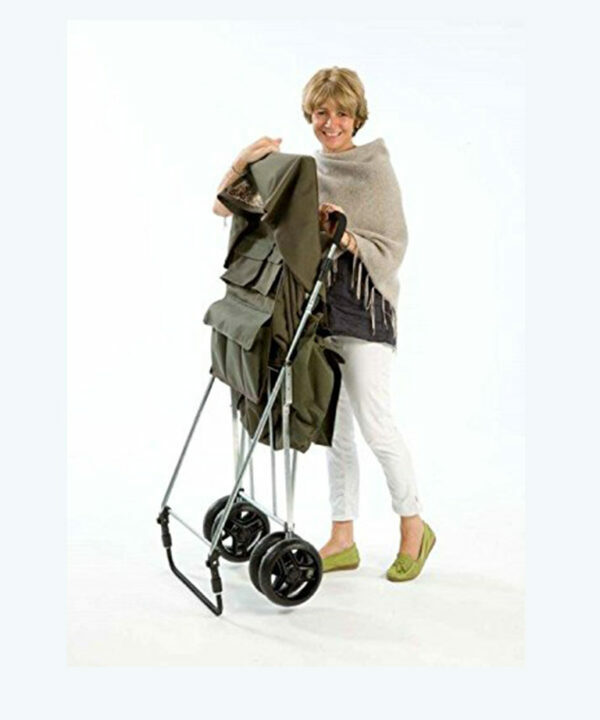 Our soft foam handle grip offers comfort in all weathers and our height adjustable handles allow for the most comfortable walking position for the individual user. This useful trolley in Utility Green is ideal for all your fishing tackle or camping equipment. 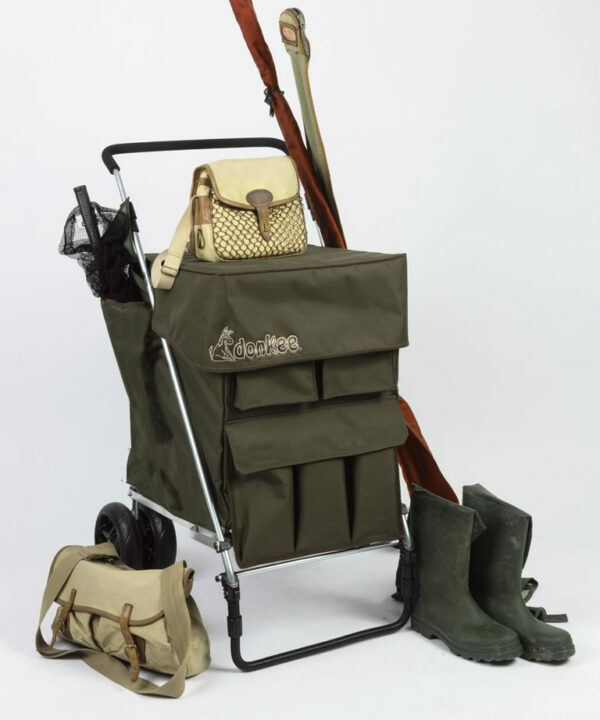 There’s no need to struggle with chairs/tents under your arm and lots of kit & equipment in bags & boxes. The Fishing/Camping Donkee has room for it all. 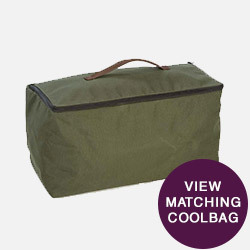 Available separately is the Fishing Donkee Cool Bag, ideal for preserving your bait or keeping your lunch & beer cool. 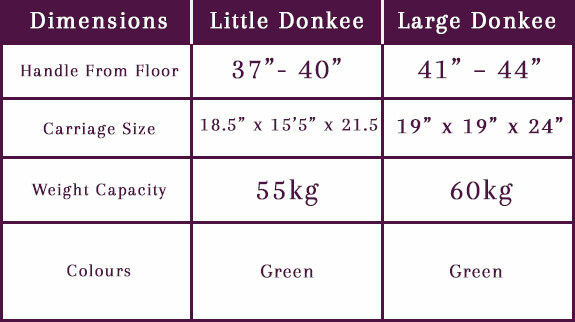 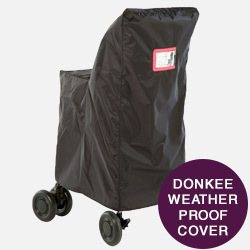 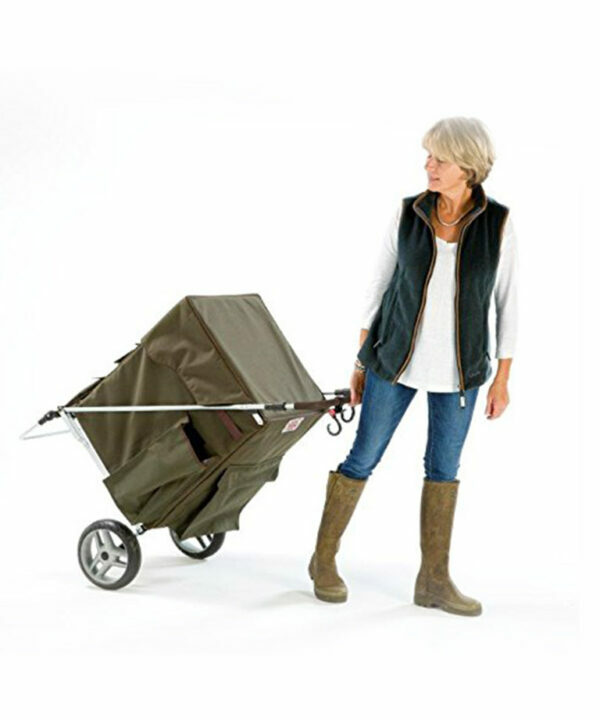 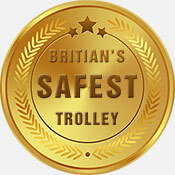 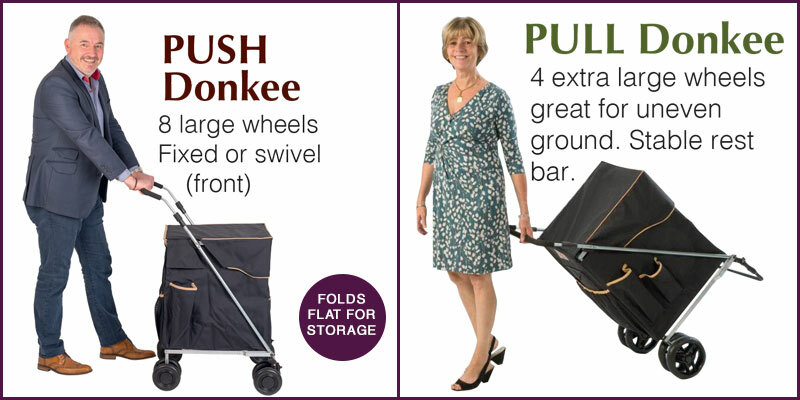 Sholley have designed this useful trolley to do the Donkee work, so that you don’t have to! 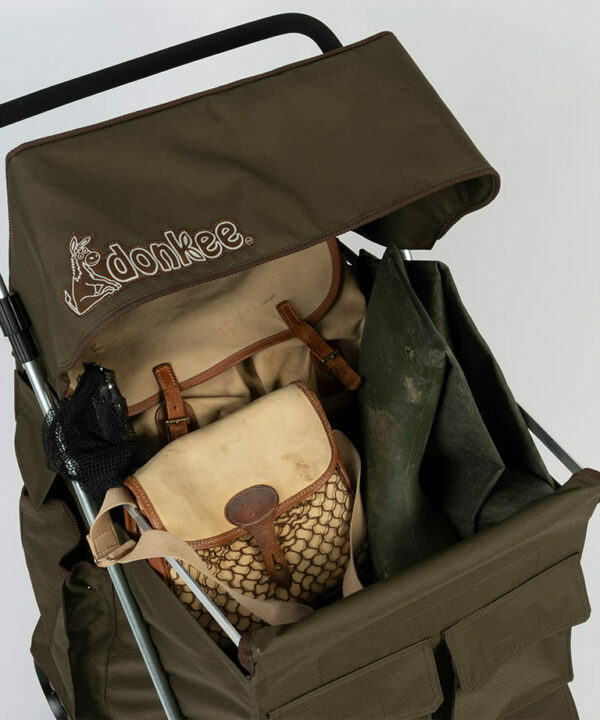 Don’t let the Fishing Donkee be ‘the one that got away’.